Last Friday I became one of the 325,000 people who plopped down $1000 US to reserve a Tesla Model 3 — a car that won’t be delivered to customer #1 until late 2017 at the earliest. I’m probably customer number 324,999 so I won’t be getting mine any time soon (2019 would be optimistic!) So why bother? 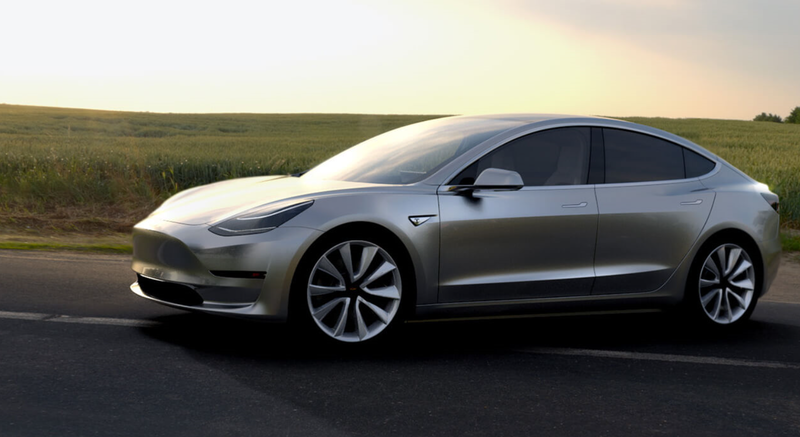 Aside from the obvious desirability of a bleeding edge, super cool car that doesn’t use gas and goes further on a charge than any EV (actually available or even just announced) from any other manufacturer (including GM’s lipservice Bolt, and BMW’s ugly and overpriced i3), the Model 3 is a symbol of change. The pre-announcement of a car that isn’t finished yet, from a company with a track record of missing shipment targets at their existing scale (which is orders of magnitude smaller than what they’ll have to hit to even come close to fulfilling their first 325,000 pre-orders) isn’t the change I’m talking about. In fact, their approach looks a lot like a Kickstarter: put some money in to fund development, and if the product is successful, you’ll get a chance to buy it later. The reservation revenue won’t even touch their billion-dollar-a-year burn rate (although it won’t hurt), but it does give them the ability to fairly accurately forecast demand, and secure additional funding as necessary to meet it. Like any technology start-up, they’re betting against the future, and with the reservation approach, they’re inviting their customers to bet with them. Unrealistic valuations against potential customers does sound a lot more like Silicon Valley than Detroit — and this gambling-man’s approach to business is certainly one of the uglier sides of the tech sector. But if that’s a part of the change that needs to happen in the automotive industry, then I’ll take it. The fact is, your car (yes, you — unless you already drive a Tesla) is a mess. Its not the build quality or process — thanks to companies like Toyota, manufacturing in North America is the best its ever been. Its the software: its been modified, revised, patched and rushed out the door annually — introducing new features (“infotainment” and “telemetrics”) without ever really cleaning up what came before or refactoring for evolution in underlying technology. The results are obvious and frightening — problems that are expensive and difficult to troubleshoot, vehicles that can be hacked remotely via the wireless connected car stereo (because the stereo runs on the same bus as your brakes! ), and bizarre, archaic toolchains that most techs (who are not also software engineers) need specialized training to use. And these are the vehicles that are to become self-driving in the near future?? Teslas are not immune to problems — in fact, reliability has plagued them. But with a drivetrain that amounts to 1 or 2 electric motors, a battery, and a steering mechanism — almost in its entirety — and a high-tech on-board computer on clean, new technology that reports detailed useful information both to the driver and to the remote support team, the most complex problems can be fixed by swapping parts on the spot. Tesla represents a fully modern vehicle that can be managed like a computer — something a generation of new “techs” can understand — with new features added with software updates, that can be rolled back if bugs are discovered. And I’ve barely touched on the fact that it runs on electricity, instead of exploding gasoline in front of your face and shooting the smoke out the back. I love my Saab, and by the time my Tesla is ready, my sweet ride will be over 10 years old. If its electronic in my car, I’ve probably hacked it. But its obvious, to anyone who knows where to look, that our current vehicles are based on ancient technology: a rickety platform wobbling its way into the 21st century, bolting on new features that were never designed to work together, until it locks up on the highway and kills someone. Tesla’s Elon Musk may look more like a tech startup founder than a car company president, but the dude went from sleeping on couches to landing re-usable space-ships, and in his spare time he’s the catalyst for change in an industry that’s long overdue. He can have my $1000 for the promise of a future car good enough to replace my Saab. I’ll take that bet. I’ve been thinking many of the same things! I think being software developers we have a unique understanding of how things work as more technology is added to things we rely on daily. It has always concerned me to think about the fact that most car companies probably don’t know how to properly build software and maintain it.